Hi, I'm Mally. I'm here to help make your email campaigns work properly in different email clients. Emails can be read in thousands of combinations of operating systems, email clients and internet browsers. Creating an email which will display correctly across all these platforms requires a lot of resources, patience and testing. Mally will warn you of potential issues in your email campaign before it's too late. He utilises our expertise to analyse your email piece by piece until he is satisfied you have addressed these common issues. While he cannot guarantee your email will be perfect; by checking against the common problems encountered daily you will save yourself some costly and unnecessary mistakes. To use Mally, simply paste your HTML into the text area provided. He will then analyse your campaign and report any 'issues'. These are broken down into bite-size chunks, describing why he flagged each issue, where it is in your document and what you can do to fix it. For some issues, he can fix your email at the press of a button! You are free to ignore or fix these warnings as you please, but Mally advises you address each one. Some issues will require you to take your HTML away, fix the issue, then paste it back in for further analysis. Analysing an email isn't easy and requires enough space for a preview. Unfortunately I cannot analyse your email because your browser's window is too small! I recommend using a desktop computer. Thank you! 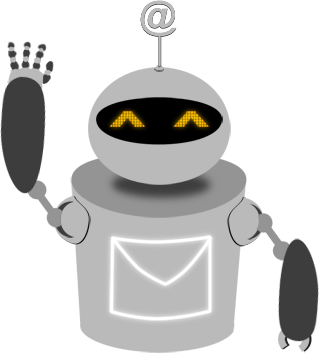 I'm Mally, your email pal! This email has been designed to contain some of the common issues that arise when writing HTML for emails. Use the fixer to work through the HTML and remove these issues. This will make your email more likely to render correctly across different email clients. The above article heading has its style set in the <head>. Some email clients strip the <head> of HTML. Use inline styles to avoid losing your email formatting! Most email clients will strip this out of your email at best, however iframes can cause some email clients to fail to render your email at all! The table cells to the left of this article are emtpy. Some email clients will collapse these empty cells meaning that the space between the articles could be lost. This heading is in a non web safe font. It may not render as you'd expect! ^ The images that make up the border above do not have the HTML style display:block. ^ Without this style, many email clients will render whitespace above or below the images. Sign-Up.to: right person, right place, right time. © Copyright 2019 Sign-Up Technologies Ltd. All rights reserved. We do our best to keep our experiments stable, but if one of our creations escapes and terrorises the villagers, please don't break out the pitchforks; just let us know.